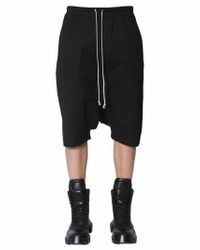 Rick Owens has been making versatile, relaxed luxury wear for over two decades. 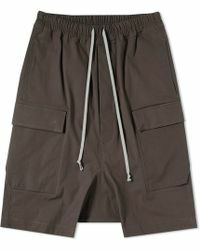 A favourite among indie and rock musicians, his clothes offer a lean toughness that is beautifully dark and brooding. 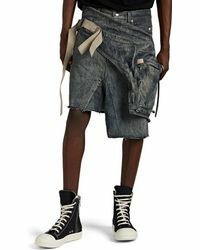 Owens believes in corrupting conformity, his clothes offering unstructured and unexpected details, snuck into simple designs. 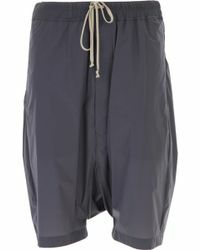 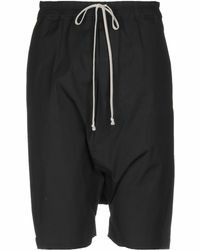 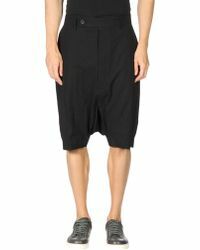 Look to the men's Rick Owens shorts collection for a great range of exciting and directional shapes. 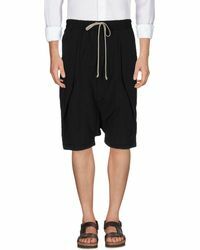 In signature Owens dropped crotch design, structural layering meets surprising and experimental textures like silk, leather and metal. 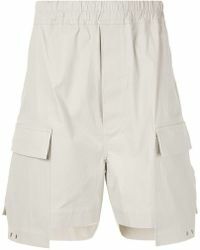 Showing 922 results for "Men's Rick Owens Shorts"